Prowl the streets in style with these Batman Catwoman Sun-Staches! Part fashion, part cat burglar, these glasses are the best of both worlds. 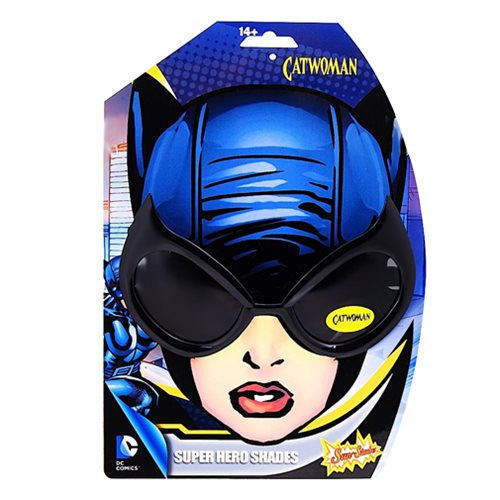 Whether you are shopping or meeting the Bat, make sure you never leave home without these Batman Catwoman Sun-Staches! One size fits most and all Sun-Staches provide 100% UV400 protection. Measures approximately 6-inches wide by 3 1/2-inches tall. Ages 14 and up.